SILICON VILLAGE: Jet Airways Now Connects Singapore, Colombo from Bengaluru with Return Fare of Rs 23,000 Only! Jet Airways Now Connects Singapore, Colombo from Bengaluru with Return Fare of Rs 23,000 Only! As Bengaluru witnesses 25% to 30% growth in air traffic during 2015-16, Jet Airways has planned two major initiatives for this city. Firstly it has commenced direct daily flights from Bengaluru to Singapore and Colombo respectively from December 14, 2016, priced at Rs 23,000 for a return economy ticket and Rs 99,000 for the premiere class. The leading airlines will also make Bengaluru its third major hub in India after Mumbai and New Delhi. Due to growing demand on this sector, particularly from business and corporate travelers, effective December 14, 2016, the airline will start its new service to Singapore, further expanding its connectivity across the ASEAN region. Jet Airways flight 9W 024 will depart Bengaluru's Kempegowda International Airport at 11.10 am and arrive in Singapore at 6.10 pm (local time). Flight 9W 023 will leave Singapore at 7.15 pm to arrive in Bengaluru at 9.15 pm (all local time). 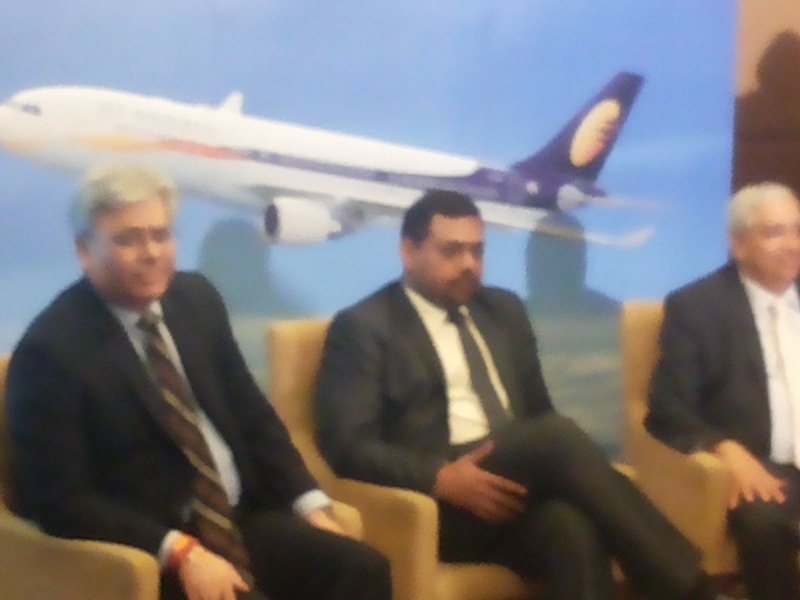 Praveen Iyer, VP, Commercial (India Sales), Jet Airways says, "Over the past two years, there has been an encouraging 15% year-on-year growth from Singapore to south Indian cities. Apart from business travellers, there are people who visit friends and relatives in Bengaluru. The ratio between the traffic to population in this city is 1:6. Customers from Bengaluru can connect to several Asian destinations including Haneda, Hong Kong, Ho Chi Minh City, Jakarta, Kuala Lumpur, Manila, Penang and Shanghai, as well as leading Australian ones such as Sydney, Melbourne, Brisbane and Perth over Singapore." Bengaluru, long established as a key IT destination, is increasingly gaining prominence as a global investment destination, resulting in a significant growth in aviation traffic – both domestic and international – into and out of the garden city. Starting January 05, 2016, the airline will also launch its third international direct daily flight from Bengaluru to Colombo, providing travelers a convenient link between the Indian IT hub and Sri Lankan capital. “Bengaluru will be the second Indian city, after Mumbai, to be linked to Colombo and Jet Airways’ third daily service to the Sri Lankan capital, expanding capacity by one-third on the route, adds Iyer. After Mumbai and New Delhi, the airline will make this city its third hub looking at the huge growth from south India. Infact, Jet Airways records 25% to 30% growth during last fiscal 2015-16. “We now have 8 parking bays at the airport and the total fleet size is 114 aircrafts,” remarks Iyer. Jet Airways will deploy a state-of-the-art Boeing 737-800 Next Generation (NG) aircraft on both these routes, offering Premiere and Economy guests the best in-flight product and services along with award-winning in-flight Entertainment (IFE). Customers will also be able to select meals from a carefully-curated menu of international and regional delicacies.